Step away from Neil Lane and his suitcase of jewels. Which leads to a multitude of questions. 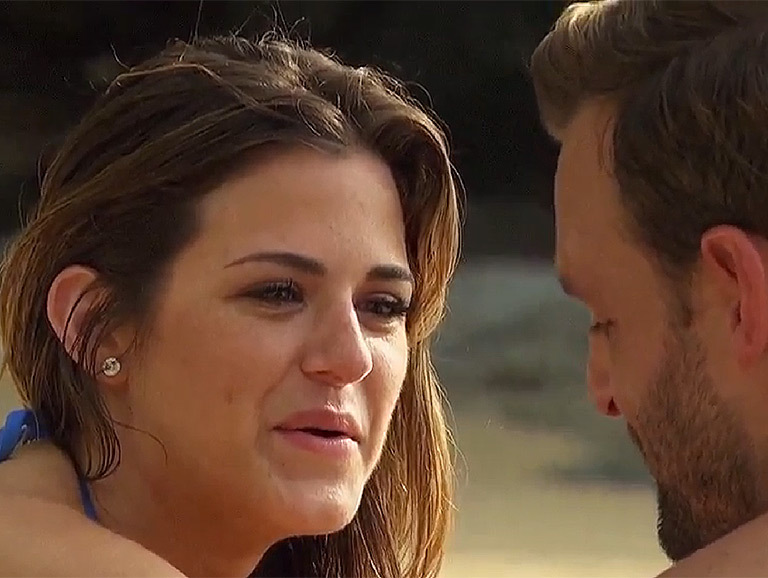 Questions like, in a finale rife with weepy moments displaying JoJo’s grating indecision, when, exactly, did she know that she wanted Jordan to “get on a knee,” as he put it—an awkward conflation of football and proposal phraseology—rather than Robby? Why didn’t she listen to her family, all of whom were clearly Team Robby even in spite of his name being spelled with a “y”? Is Robby an emotional robot, or is his muted demeanor a side-effect of beta blockers? We can’t know these answers for sure, but we can chime in with moderately educated speculation. And we think that a painful 44-second interchange on a beach in Phuket—one in which Robby imagines what his and JoJo’s life might be like once Jordan is out of the picture—led to his demise. While Robby was busy playing history’s most horrifying game of M.A.S.H., he also became a sexual non-entity in JoJo’s eyes. We’ve created a Vulture-inspired scorecard for the clip (below), delineating where and why Robby lost points along the way. Touchdown, Jordan. JoJo asks Robby what he pictures when he thinks of their future. He hesitates (-10, maybe he was just thinking, but it’s more likely he was buying himself time because he was probably all, ¯\_(ツ)_/¯), but presses onward. He says he sees them sitting on “the most comfortable living room sofa while dinner finishes in the oven” (+15, at least he can cook). There is a dog on the sofa, too (+10, for obvious reasons). He then mentions that in the future Fletcher-Hayes household, there will be the “faint” sound of children (-75, children are only faint if they’re locked in an attic or drugged with Propofol). We learn that their fake children are neither drugged nor in solitary confinement, but they are in the home’s “Bonus Room,” which Robby says is “probably just around the hallway” (-10 for the nonsensical location; -150 for an unforgivable use of the term Bonus Room. A Bonus Room is one of those things people have but don’t mention, like unsightly moles. Not because Bonus Rooms are unsightly, but because they’re like Fight Club: you don’t talk about it because it’s weird). The term Bonus Room causes JoJo to visibly lose her composure, which she covers up by taking a deep breath and laughing nervously. This is because she knows the rules of the Bonus Room. Jojo inhales, clearly swallowing the words “kill me now” after Robby mentions The Bonus Room. In the next part of this fantasy, Robby says they “smell food burning” (-20, he had one job, which JoJo points out) because they are “lost in the moment” (-5, what moment? ), to the point where “we overcook the meatloaf” (-30, “we”? Also, tack on an additional -10 for managing to mess up the easiest meal known to man). JoJo, unsure of how to react to this entire scenario, tries to stifle the weirdness with an ancient “Ma! The meatloaf!” reference from Wedding Crashers (-45 for causing her to embarrass herself like that). Robby glosses over her attempt at diffusing the situation, saying that Dream Robby and Dream JoJo are cool with charred meatloaf because the “Sauvignon Blanc white wine” (-55, redundant) “goes better with delivery pizza anyways” (+10, possibly true, as a red would be a more traditional pairing for meatloaf). Better luck next time, former champ. Previous articleWhere to Find the Best Regional American Barbecue in L.A.